Spring definitely announced it's arrival just in time for the Tom King Classic. 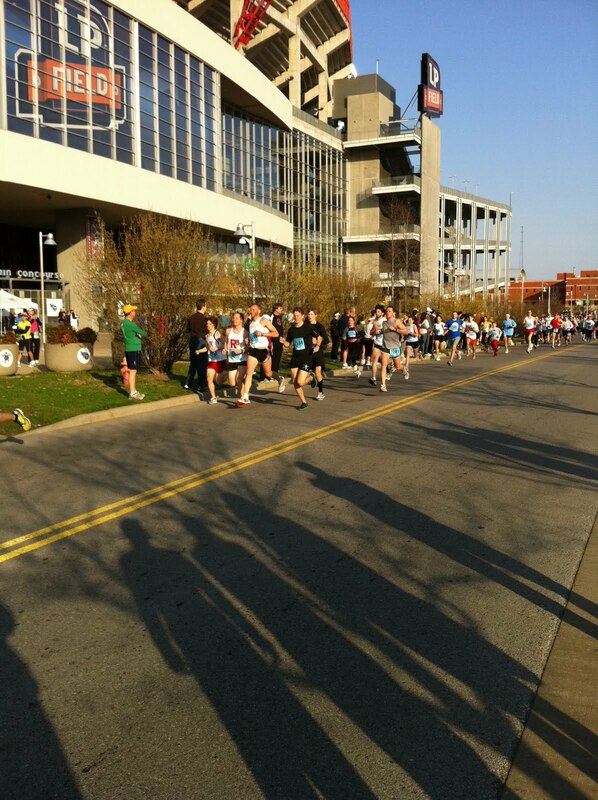 The sun was out and temperatures were (finally) up to the comfortable level as hundreds of runners descended up LP Field. This race is a awesome spring race that promises to leave you with a personal best due to the flat, flat, flat terrain. Not only did athletes bring home some hardware, each of them walked away with an early season farmers tan.